Spanning 70 inches over its optimized 3D airfoil shape, the GTC-500 adjustable wing supplies maximum downforce in widebody sports and touring car applications. 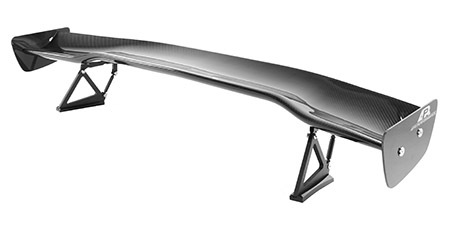 Spanning 67 or 61 inches over its optimized 3D airfoil shape, the GTC-300 adjustable wing creates significant downforce in sports and touring car applications. 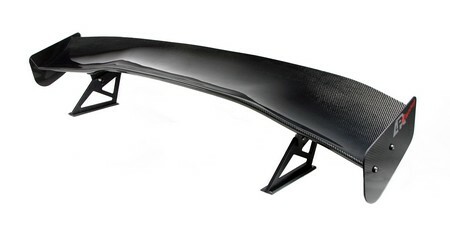 Spanning 59.5 inches over its optimized 3D airfoil shape, the GTC-200 adjustable wing produces great downforce for compact/midsize sports and touring car applications. 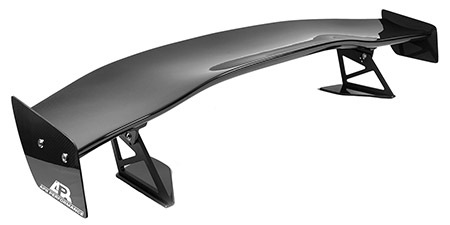 All GTC Series wings feature an aerodynamic 3D designed airfoil shape to obtain the optimal balance of downforce. This design allows for a reduction in drag, yet maintains an ideal level of downforce. Computational Fluid Dynamics (CFD) Analyses were performed on these wings to support validation of their aerodynamic design.